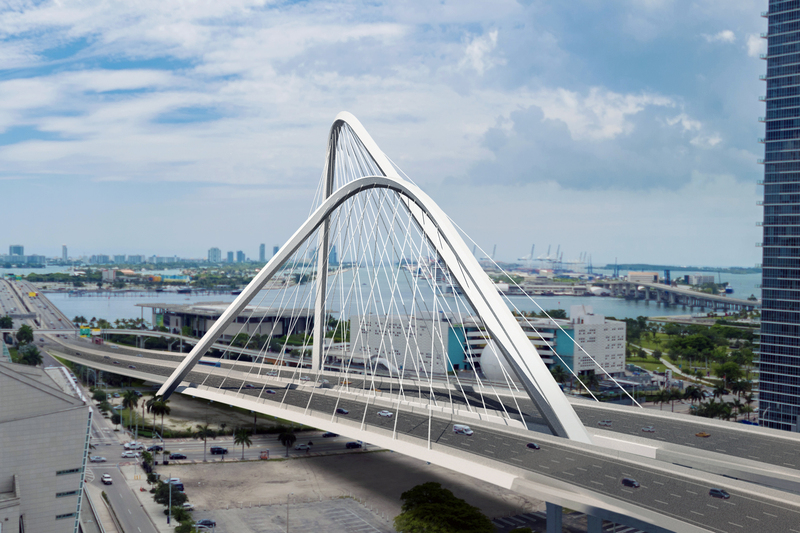 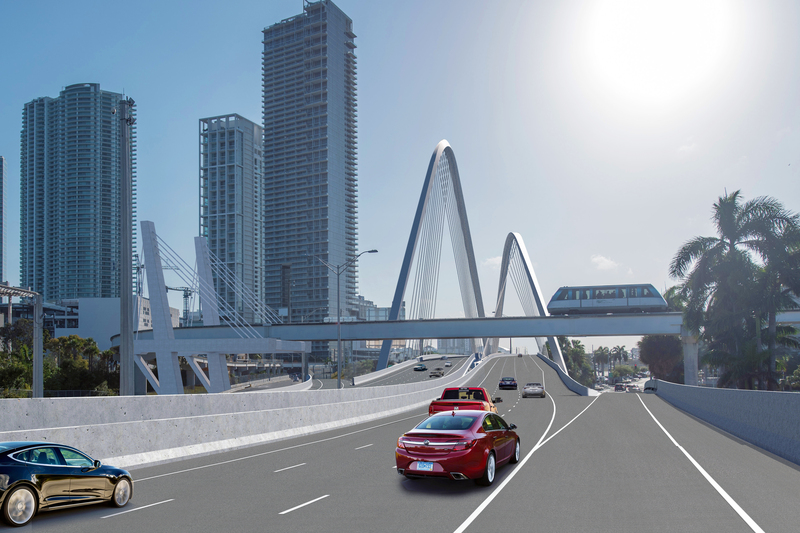 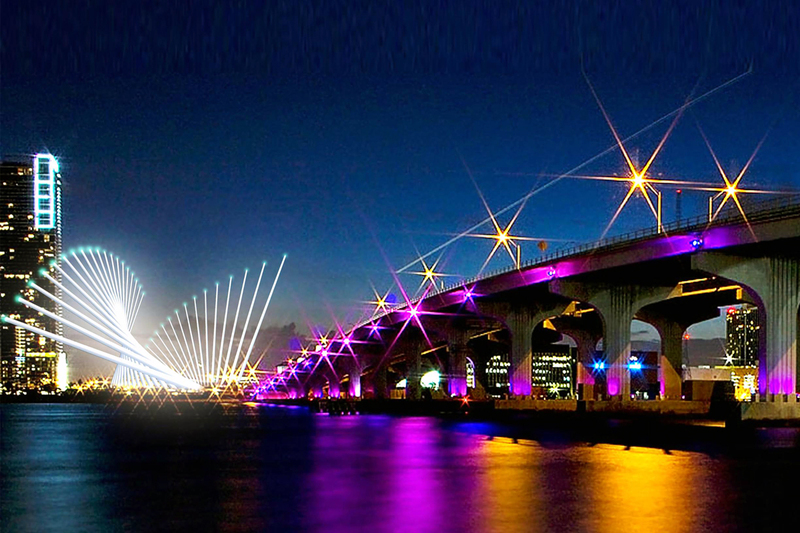 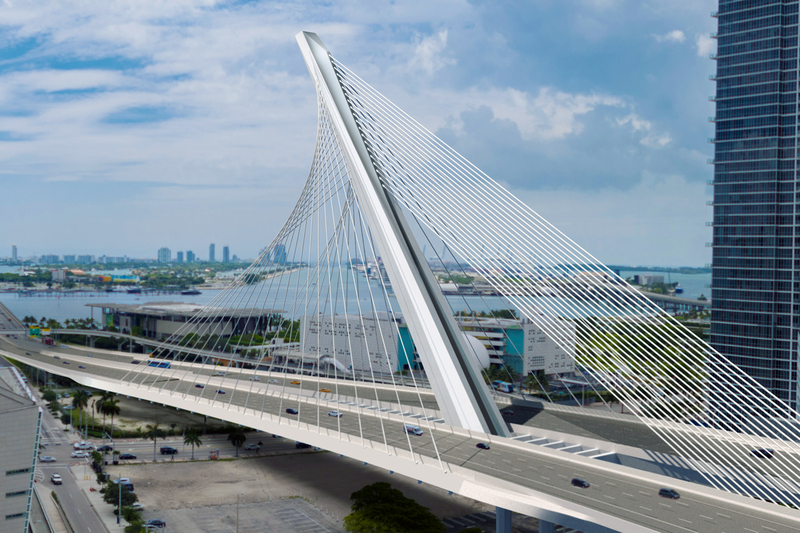 BEaM developed Building a New Miami Partners’ shortlisted tender designs for the replacement of the I-395 viaduct approach to the MacArthur Causeway Bridge in central Miami as the centrepiece of the major SR-836/I-395/I-95 design-construct highway expansion project. 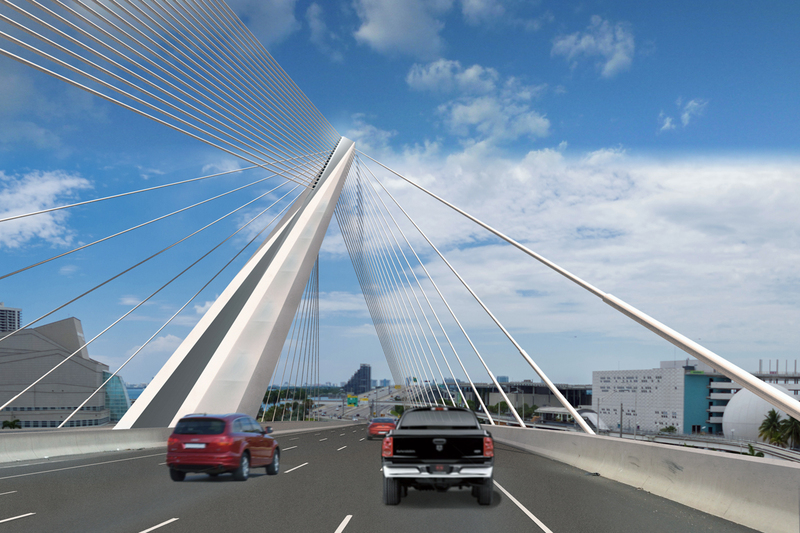 The 12-lane signature bridge spans 190m across north-south road corridors with a revised alignment that liberates land sterilized by the current low-level viaduct structure. 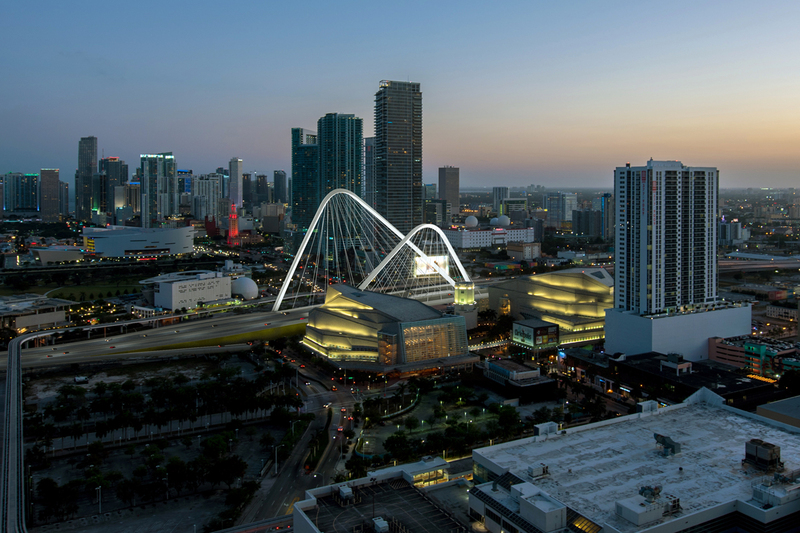 The bridge will form a canopy roof over an animated urban park fronting the Adrienne Arsht Performing Arts Center that reconnects the Miami Design District with Museum Park/Downtown at ground level. 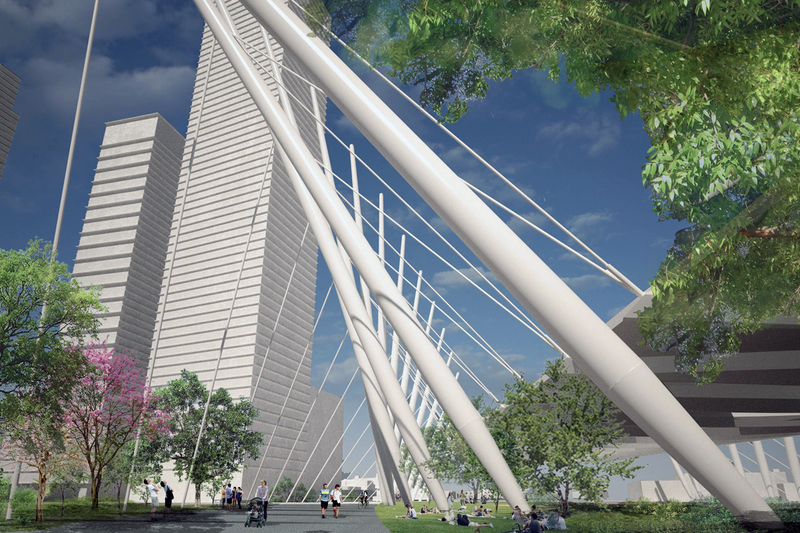 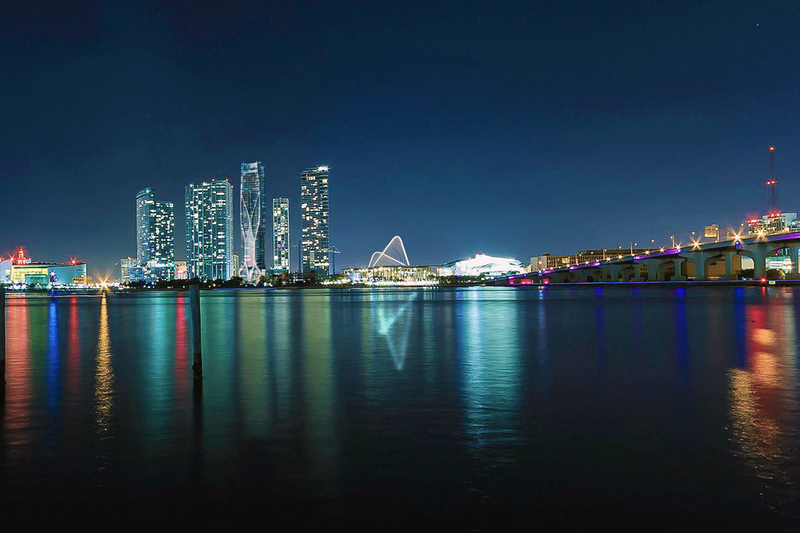 The 100m high cable-stayed structure will form a highly visible element of the city skyline from Miami Beach, flanked by the landmark towers and Arts Institutions on Biscayne Boulevard.